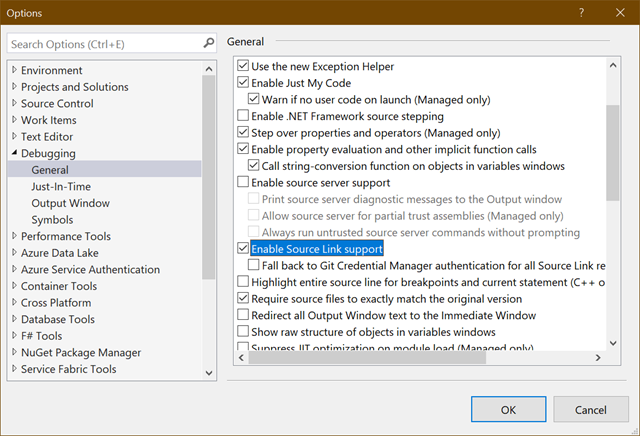 It’s possible to debug into the ServiceStack source code when using the ServiceStack NuGet packages. Normally you could enable this after enabling SymbolSource integration in VisualStudio but as the SymbolSource has been unavailable for months it’s no longer a reliable source for Debug Symbols. And with that you should now be able to debug into the source code of any NuGet package (who publishes their Symbols) directly from within your application! GitLink is another solution for debugging source code in NuGet packages. Otherwise the most reliable solution for debugging ServiceStack source code is to download the source code for the release on Github you want to debug, build the VS.NET Solution locally using Debug configuration then change your ServiceStack references to use your local .dll. 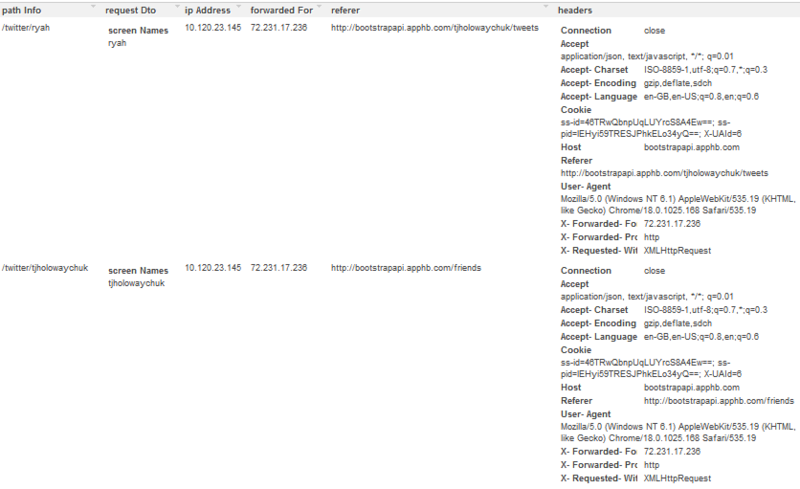 In addition, users with the Admin role or Requests with an AuthSecret can also view Debug Info in production. Users in the Admin role have super-user access giving them access to any services or plugins protected with Roles and Permissions. The Debug Links section is only available in DebugMode. AddPluginLink adds links under the Plugin Links section and should be used if your plugin is publicly visible, otherwise use AddDebugLink for plugins only available during debugging or development. When plugins are registered their Exceptions are swallowed and captured in AppHost.StartupErrors so an individual Rogue plugin won’t prevent your ServiceStack AppHost from starting. But when a plugin doesn’t work properly it can be hard to determine the cause was due to an Exception occuring at Startup. Alternatively enable StrictMode to have StartUp Exceptions thrown on StartUp. All ServiceStack Apps have access to rich introspection and queryability for inspecting remote ServiceStack instances with the new Debug Inspector. 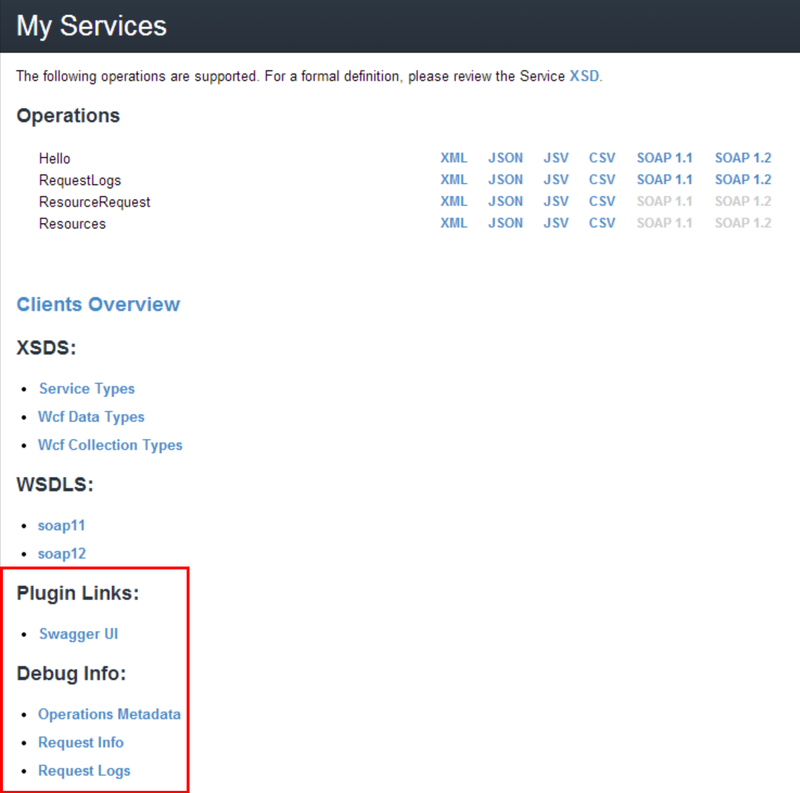 Which is the configuration that allows sharpscript.net/metadata/debug to be accessible to anyone. 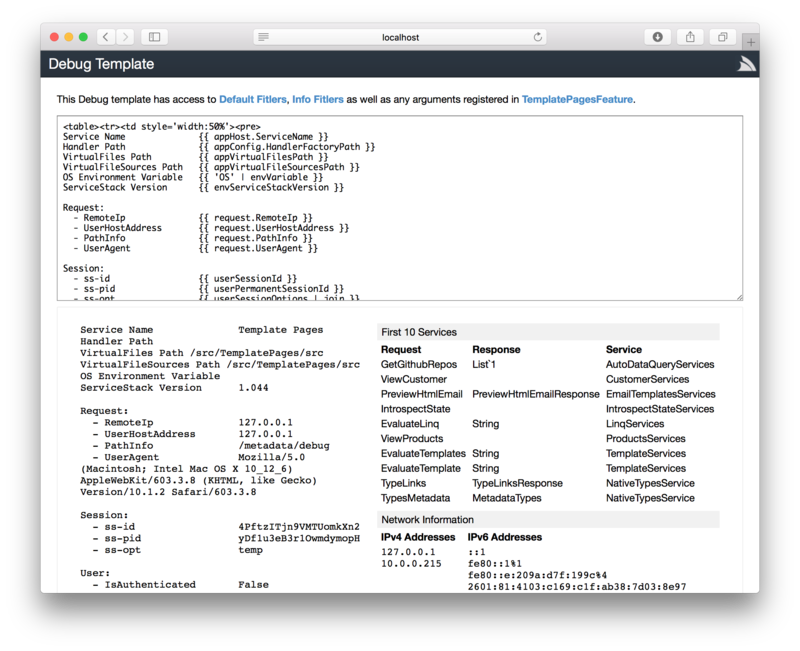 ServiceStack’s Request Info feature is useful for debugging requests. Just add ?debug=requestinfo in your /pathinfo and ServiceStack will return a dump of all the HTTP Request parameters to help with debugging interoperability issues. The RequestInfoFeature is only enabled in DebugMode. The number of Startup Errors is also added to the X-Startup-Errors: n Global HTTP Header so you’ll be able to notice it when debugging HTTP Traffic. Add an In-Memory IRequestLogger and service with the default route at /requestlogs which maintains a live log of the most recent requests (and their responses). Supports multiple config options incl. Rolling-size capacity, error and session tracking, hidden request bodies for sensitive services, etc. The RequestLogsService is just a simple C# service under-the-hood but is a good example of how a little bit of code can provide a lot of value in ServiceStack’s by leveraging its generic, built-in features. To maximize the debuggability of ServiceStack packages all ServiceStack projects utilize MSBuild generated NuGet packages where all packages are embed pdb symbols and are configured with support for SourceLink to improve the debugging experience of ServiceStack Apps as source files can be downloaded on-the-fly from GitHub as you debug. When enabled it should let you debug into the ServiceStack framework implementation, downloading the correct source files version from GitHub as and when needed. In addition to using MSBuild generated packages all projects also utilize CI NuGet package feeds for external dependencies instead of copying .dll’s in /lib folders. As a consequence you’ll no longer have to build external ServiceStack GitHub projects or use GitHub published releases, as now the master repo of all GitHub projects can be built from a clean checkout at anytime. The pre-release packages are still published using the same version number so if you get a build error from having a cached stale package you’ll need to clear your local packages cache to download the latest build packages from the CI NuGet packages feed.